Kaffeeform is leading the way with their innovative new material that allows coffee enthusiasts to enjoy their favourite brew right down to the grounds. The German independent company produces mugs made out of, you guessed it, coffee grounds. Kaffeeform is a renewable material that is the result of five years of research and experimentation. The result: a solid material made out of coffee lead that is able to resist heat and is washable. 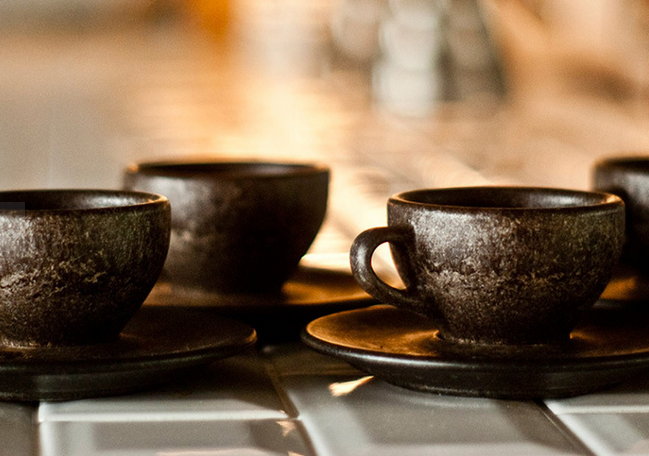 To add to your coffee drinking experience, each cup is unique in design and also retains a hint of coffee aroma. Want to get a set? A new batch will be ready starting October 2015. Next Post Coffee & Sneakers? The perfect cup for the perfect cup.